Maxwell Tools Company has put together a team of experienced engineers to design and produce excellent quality Helical and Spur shaper cutters. 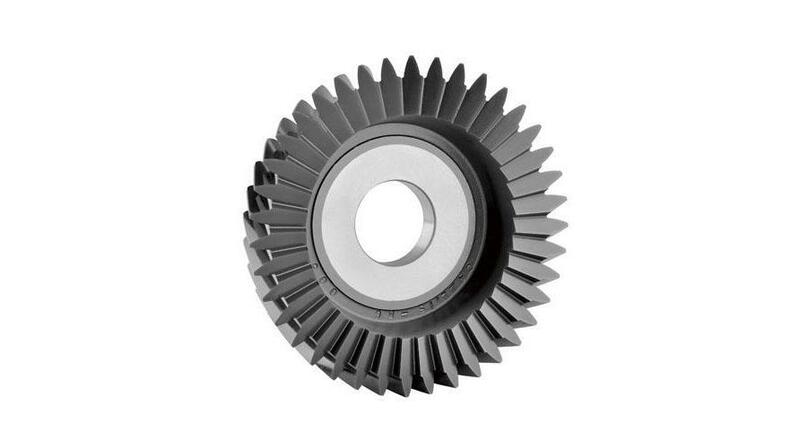 These tools are useful in the production of Splines, internal and external gears, Timing Pulleys and Sprockets. They are produced in standard designs and according to international specifications. This produces pieces that can be used on any machine. Profile modification software is used to produce customized cutters. The profiles reflect individual wishes by clients especially for pre-ground or pre-shaved gears. Some of the customized varieties include semi topping and protuberance. This variety is usually supplied upon request order. Each of these types is used in a different environment. It comes with particular specifications but with the possibility to modify the standard design during production. This will adapt the cutter for your specific cutting environment. Increase friction coefficient- the cutter can withstand extreme friction without reducing in performance or wearing out. Increase resistance to heat- this allows you to cut into harder metals and for long without stopping. Expanding the range of surfaces you can cut- coating hardens the cutters to enable them slice into more surfaces compared to those that are not coated. You do not have to exchange the cutters because a different quality of material is being cut. The abrasion resistance of the cutter is determined by the type of coating mechanism used. Each has a unique effect on the surface. The coating options available include TiN, TiCN and TiAIN technologies. Each raises resistance to a certain level and thus expands the range of surfaces or materials it can cut. Technicians will advise you on the best option depending on your work environment. Gear shaper cutters work in environments where there is a lot of friction. This requires the use of high quality materials. The materials are sourced from reputable smelters around the world, tested and purified to deliver the best cutter. The resulting tool can withstand extreme friction, high temperatures and excess heat without melting or changing in form. It also does not react with the surface while grinding. Orders are dispatched within the shortest time. This is possible because the company has a stockpile of readymade cutters available for immediate shipment. Previous profiles are also saved in the company’s database to ease the production process for return customers. It is an incredible customer experience that delivers more value for money. TiN,TiCN,TiAlN to enhance tool life up to 10 times.